Are you interested in making essential oils a part of your daily routine? You will find them helpful when it comes to your health, beauty, and household needs. Just a few drops can enhance cleaning products, beauty products, and even repel pests. Here are 7 essential oils for newbies that you can try and add to your daily routine. A few drops of peppermint oil on a cotton ball and placed near windows and doors can help repel spiders and mice. You can also massage some onto your temples when a headache sets in, or add a drop to your toothpaste to help freshen your breath. Eucalyptus oil can be massaged onto the chest to help break up congestion and soothe cold symptoms. It can also be massaged onto the skin or added to body lotions to help repel outdoor pests. When diffused in a room, it may be able to help the user relax and unwind. Lavender oil is amazing for helping the user relax and fall asleep. Massage some onto your temples or inhale before bedtime. You can even diffuse it into any space where you wish to feel more relaxed and stress free. When added to your body lotions, it can even help repel outdoor pests. Lemon oil can be added to vinegar to create a powerful household cleaner. You can also add lemon oil to your over the counter cleaners to give them a boost of cleaning power and nice citrus scent as well. Lemon oil can even be added to water to give it a healthy and flavorful boost. Lime oil is excellent for boosting your mood and energy. Add a drop or two to your ice water, diffuse, or inhale anytime you need a quick pick me up. It can also be great when added to cleaning products as citrus based oils can really help them do their job. Rosemary oil has many excellent uses. Massage it onto your temples or inhale to help with relaxation and headaches. It can also be applies to minor cuts to promote healing, or massaged into the scalp to help with dryness. Tea tree oil can be added to your shampoo to help hydrate the scalp and hair. It can be applied to minor skin blemishes to promote healing, and can reduce redness as well. If you are thinking about experimenting with essential oils, give some of these options a try! What are your favorite essential oils? Lavender oil would be my favorite and yes I have wanted to try them but they just are to pricy for me at the moment. I think the oils would be great to try out. Thanks I am starting to use the oils I cant wait to try the Rosemary oil. These are great suggestions! 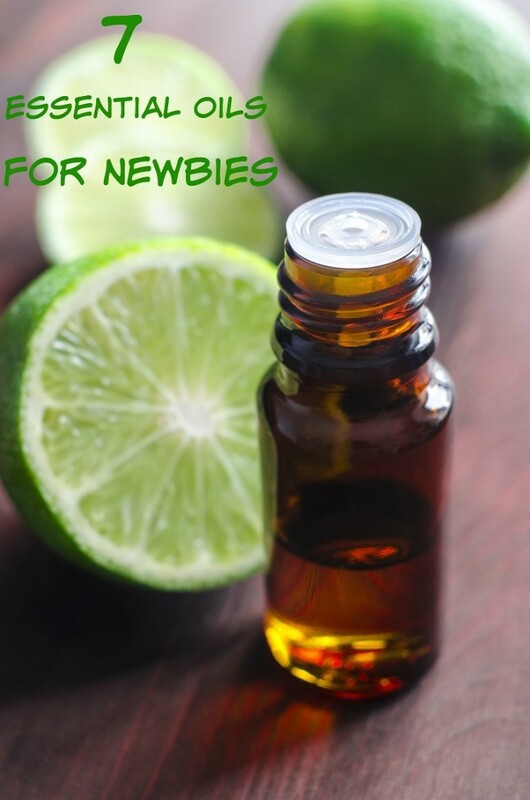 I’ve tried some of these but not others – I’m excited to give lime oil a try! This is fantastic! I love most of these smells, anyways! I love essential oils. We use a lot of eucalyptus oil for sinuses. Peppermint or Lemon Oil would be the ones I would first start using. I have often thought about it but haven’t as of yet. I love tea tree oil and I’ve recently just discovered peppermint oil. So awesome. This is a great list! I like the idea of adding peppermint oil to toothpaste to freshen breath. I need to check these out more. I’ve heard a little bit about Tea Tree oil. It sounds like it’s really useful! I love the smell of peppermint oil too. I am a newbie when it comes to essential oil. With the exception of Eucalyptus oil, I don’t think I have used any of the others. I have heard of them but never used them. I personally want to try the lemon oil on the counter top. Wow, I didn’t know all these oils could be so great for me. I’m going to look more into them. I love my essential oils – be careful with the Peppermint though. If you have any kind of heart condition it can cause some issues – I am unable to use that one and have to use Wintergreen in its place. I love using EO! Peppermint and Tea Tree Oils are my absolute must haves! I love lavender, peppermint and lemon. Lavender is so relaxing and calming and helps me fall asleep quickly. I have been using essential oils for years. Peppermint oil smells amazing and it keeps the spiders and ants away. When i have a cold i use my Eucalyptus oil with a bit of Peppermint oil to help myself breathe. I love my oils! Use them daily and enjoy coming up with new blends and combos! I have some of these essential oils and I love using them. Lavender and Tea Tree Oils are my favorites. I’d like to start using oils but suffer from epilepsy, are there any which I shouldn’t use? I could use the lime oil during the day to help with work and my many distractions. Wonder if there is an oil that helps with memory or alertness specifically? Personally, I just love the blend of peppermint, lavender and lemon. I keep it in my diffuser at all times. I do prefer essential oils the most for both beauty and health. I like the smell of Eucalyptus oil and lavender oil so much. I never tried Rosemary oil, but it sounds great for relaxation and headaches. Will definitely have to look in to this. I’ve never heard of lime oil or rosemary oil but they sound delightful! Thank you for the brief introduction, I keep hearing of these essential oils, but I’m not always sure what to use them for. These are great for newbies. I love my oils. I use them for so many things in our home including cleaning, beauty and health purposes. I have to try and see if the peppermint oil helps here. I hate spiders. I have peppermint, lavender, franikensence (sp?) and a few more. We had some ants so I used the peppermint and it seems to have helped! I would love to start using essential oils. I have been hearing so much good buzz about them lately.